Where is China headed? Here are four possible scenarios. Let us recapitulate our four scenarios. In the first, China is gradually integrated into the liberal world order. Its political model converges with that of Western liberal democracies, even as it continues to show some distinctive traits. Its economy grows, reaching parity with the United States and approaching Western standards of living. 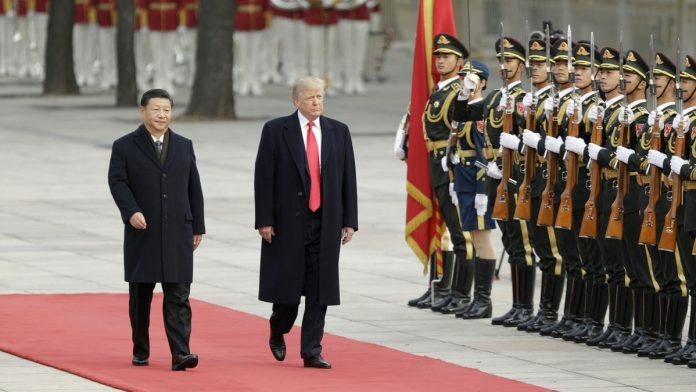 The two countries effectively rule the world economy together, but on other dimensions of global power—political, military, cultural—China does not attempt to overturn American hegemony. In the second scenario, China replaces the United States as the center of global power, but everything else remains more or less the same. The Chinese political and economic model converges with Western patterns—but less drastically than in the first scenario—and, more importantly, the liberal world order survives unscathed: multilateral institutions, open trade, international cooperation on common challenges and even some form of individual and community rights. The third scenario is one where China takes over from the Unites States as the center of global power with the result that the very structure and values of the world system are rethought and reconfigured. The liberal world order is replaced with a Chinese order, Western values give way to Chinese values and the pace of historical development is increasingly dictated from Beijing. In the fourth scenario two visions of the world order are forced to coexist: China and the United States need to reach some kind of balance, either through a division of the world into two distinct spheres of influence or as some combination or compound where integration goes together with conflict and rivalry. The year is 2049, one hundred years after the founding of the People’s Republic. Following its century of national humiliation, China stood up, became rich, and ultimately grew more and more powerful. The Belt and Road is complete. That does not mean it will stop or disappear. It is concluded in the same way a bridge or a road is built. Its development is finished and it is ready to start working or operating at full power. Some of the infrastructure projects are truly stunning and now stand as the highest example of what human ingenuity can achieve in its drive to master natural forces. A bridge crossing the Caspian Sea— 200 km from Azerbaijan to Turkmenistan—has made road transport between Europe and China fast and easy, changing old mental maps separating continents. The Kra Isthmus Canal in Thailand has done the same for the Indian and Pacific Oceans. No longer do we think of them as two separate oceans. Sea transportation is now entirely conducted by autonomous seafaring freighters. Shipyards based in southern China have dominated the “ghost ship” market ever since the first model, the Somersault Cloud, named after the magical cloud that transports the Monkey King in the classic Chinese saga Journey to the West. In Africa a high-speed railway connects the two coasts, traversing Djibouti, Ethiopia, South Sudan, Central African Republic and Cameroon in under twenty hours. Trade between Africa, Asia and South America increasingly uses this route. In the meantime, the third segment of the initiative, announced in its second decade, is progressing apace. Self-driving vehicles on land, sea and air and trillions of connected devices worldwide are already empowered by a Belt, Road and Space fleet of China-centered satellites. China now regularly flies reusable space planes and has them carry taikonauts and freight into space. More dramatically, a nuclear-powered spacecraft has been used for the first manned Chinese Martian mission. Chinese companies regularly engage in deep-space economic activity, like building orbit solar power plants, and mining asteroids and the moon. As the head of the Chinese lunar exploration program, Ye Peijian, remarked, “the universe is an ocean, the moon is the Diaoyu Islands, Mars is Huangyan Island. If we don’t go there now even though we’re capable of doing so, then we will be blamed by our descendants. If others go there, then they will take over, and you won’t be able to go even if you want to.” Satellites equipped with new quantum sensor technologies are able to identify and track targets that were once invisible from space, such as stealth bombers taking off at night. Ghost imaging satellites have two cameras, one aiming at the targeted area of interest with a bucket-like, single-pixel sensor while the other camera measures variations in a wider field of light across the environment. Nothing can hide from them. On earth, new cities have grown in once desolate or forbidden landscapes. They have already gone through many stages of transformation: logistics hubs ravaged by crime and corruption to booming immigration metropoles attracting vast influxes of migrants and refugees spurned by the United States and the European Union and finally economic powerhouses of low regulation where successive technological revolutions take no more than a few years. Many successful entrepreneurs have moved to new cities in Central Asia in order to be equally close to China and Europe. Many of the new cities have sizable Chinese populations. These Chinese expats are the entrepreneurs and investment bankers, the trend setters and technology prophets. In many countries in Central Asia, Southeast Asia and Africa, Mandarin has already replaced English as the international lingua franca. Global Energy Interconnection, a Belt and Road project, has created an intercontinental energy grid, so as to optimize largescale allocation of clean energy, across wide areas and with high efficiency setting up global regulation and control systems, so that the intercontinental and transnational electricity trade volume accounts for almost half of global electricity consumption. By 2030, the interconnections of Africa-Europe, Asia-Europe and Asia-Africa were formed; by 2040, the interconnections of North America-South America, Oceania-Asia and Asia-North America; by 2049, the interconnection of Europe-North America, and the whole planet relies on a few clean energy bases, including those in the Arctic, the wind power base, and the Equator, the solar power base. Is this still a recognizable world? Is it still the world we live in today, only more balanced and more divided between different economic poles in Europe, Asia and America? Is it the world of globalization as we have come to know it? In her own “speculative leap into Eurasia’s future,” Nadège Rolland describes a world where people do not “google,” have a Facebook or Twitter account, or watch the news on CNN or the BBC. Instead, they “baidu,” use Weibo for their social connections, and watch China Global Television Network. Children do not play “cowboys and Indians” but mimic the exploits of the Monkey King, one of their favorite heroes from the Journey to the West tale. Eurasian youths seek acceptance to the highly regarded universities of Beijing, Xian, Urumqi, and Kunming, whose degrees are recognized across the region. These schools offer substantial scholarships to the best and most promising students of the region and give a guarantee of employment in the local branches of Chinese stateowned enterprises. 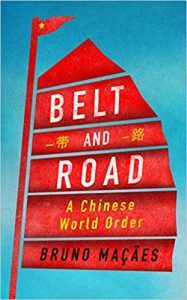 The description is of course inspired by the existing world order and tries to project a future where China has replaced the United States, but the essential shape of things— institutions, values, and relations—remains largely unmodified. The differences are limited to what China lacks by contrast to the current ruler of the system—Rolland mentions freedom of speech and individual rights—as if a few items of furniture have been lost during the house move and spring cleaning. 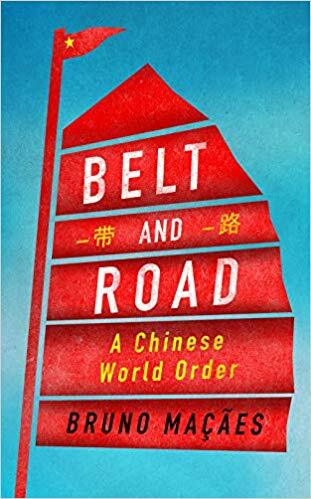 This excerpt from the 2019 book ‘Belt and Road’ written by Bruno Macaes has been taken with permission from the publisher Penguin Random House. There is definitely a reason to giving reservation to them because they were denied for 2500 year a right to live humanly , a class of priest and rulers had done nothing productive but in the name of religion used them and instigated fear and uses in name of god for securing offerings , they only secured right to learn , study (even vedas listening were not allowed to them they categorically made slaves in the caste system ) the descendants of those upper class quoting our self as meritorious, you are not actually but your generation is 2500 year ahead in field of learning mathematics to literature and language but those who are dalit were started since 50 years , where is a level playing field . Race was stared 2500 year before and you upper class had taken lead since and they were not allowed by upper class for so long time to even start .